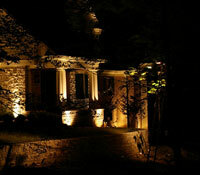 The final step in creating the perfect outdoor atmosphere is accomplished through exterior low voltage lighting. 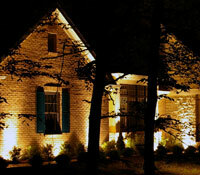 Exterior lighting accentuates the shape and textures of a landscape and its structures. 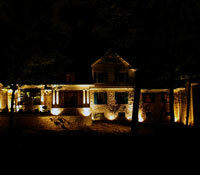 The marriage between a professionally installed landscape and landscape lighting is worth experiencing.